2017 VERSION - NOW IN STOCK! GET 50% OFF NOW! Light-up ears AND ear pieces (with multiple glow / flashing modes) - USB chargeable, no battery required! 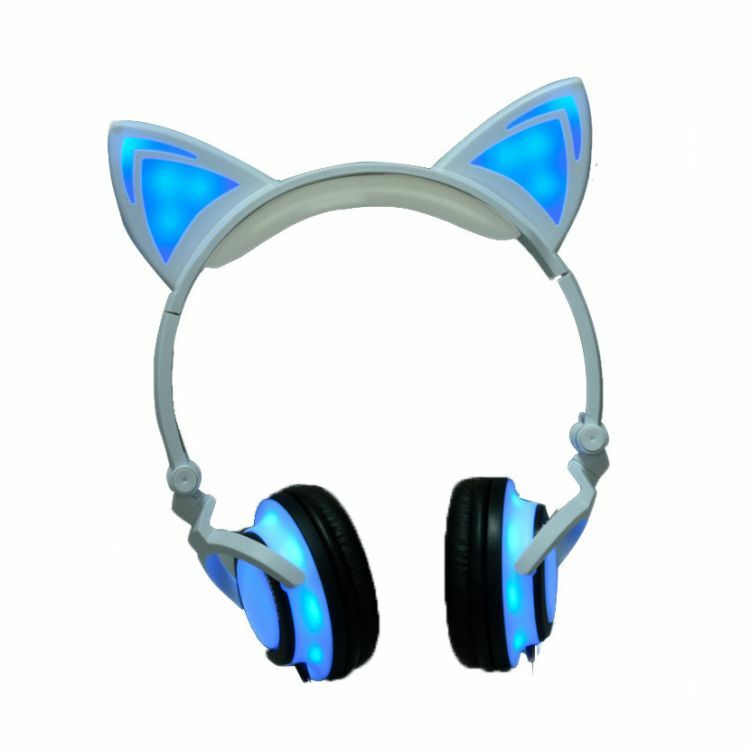 These fun and unique Glowing LED Cat Ear Headphones will give you the style that you're looking for, while delivering an amazing audio experience at an affordable price. M-EOW!! The glowing lights can be turned on and off with the button behind the left ear. The lights also have a "blinking" mode for extra fun. With standard 3.5mm headphone jack, these headphones are compatible with most audio devices. CHOOSE YOUR COLOR & HIT ADD TO CART NOW!